Phetchaburi (VNA) – The ASEAN Defence Senior Officials’ Meeting Plus (ADSOM+) took place in Thailand’s Phetchaburi province on April 4. The bloc’s eight country partners attended the event, namely Australia, China, India, Japan, the Republic of Korea, New Zealand, Russia, and the US. Participants reviewed the reports of ADSOM+ working groups and the ASEAN Secretariat on the association’s development over recent times. The contents will be submitted to the ASEAN Defence Ministers’ Meeting Plus (ADMM+), which is scheduled to be held in Thailand at the year’s end. They spent a significant amount of time updating all on the ADMM experts’ working groups’ results over the past three years from 2016 to 2018 in the fields of humanitarian assistance and disaster relief, navigation security, military medicine, anti-terrorism, peacekeeping, and cyber security. The ADMM+ experts’ working group on humanitarian mine action co-chaired by Laos and Russia spoke highly of the outcomes of Vietnam-India working group in the previous period, which laid a good foundation for the next group to complete the set targets. As planned, the ADMM+ will take place at the end of this year to talk about action groups for the 2020-2023 period. Vietnam and Japan are due to co-chair the experts’ action group on peacekeeping. At the ADSOM+, senior officials discussed the draft joint statement of the ADMM+ on promoting cooperation for sustainable security. ADMM+ members are expected to reiterate their commitments to peace, security, and stability in the region by respecting internationally-recognised principles and enhancing collaboration for mutual benefits. Participants agreed that the cooperation between ASEAN member countries and the bloc’s partners has continued to prove effective within the framework of the ADMM+. At the ADSOM+, Deputy Defence Minister Sen. Lt. Gen. Nguyen Chi Vinh shared Vietnam’s plan to organise the ADMM+ in Hanoi in 2020, a special occasion in celebration of the 10th founding anniversary of ADMM+. 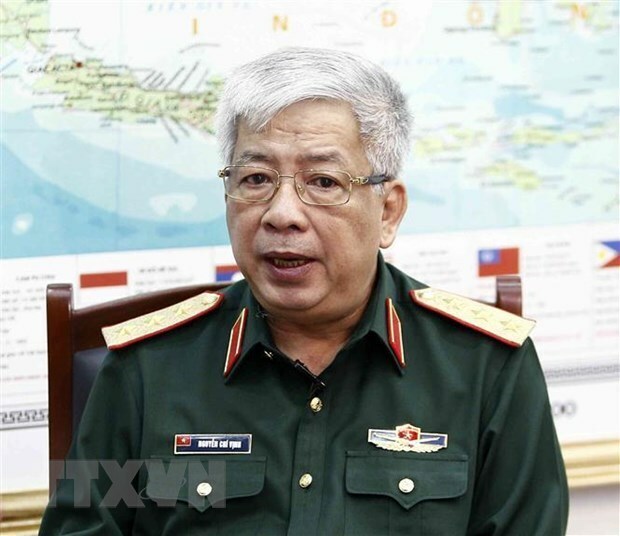 He said that Vietnam plans to submit to ASEAN defence ministers a draft strategic vision on Asia-Pacific security towards peace and cooperation, as well as several initiatives of Vietnam and other ASEAN countries. Vietnam also plans to organise a workshop orienting the future operations of ADMM+ to ensure pragmatic operational efficiency, he added. The official stressed that Vietnam hopes that ASEAN countries and ADMM+ main partners will join the consultation.